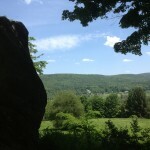 Tyringham Cobble; Tyringham, MA - Take a day trip! View partway up the loop trail at Tyringham Cobble. 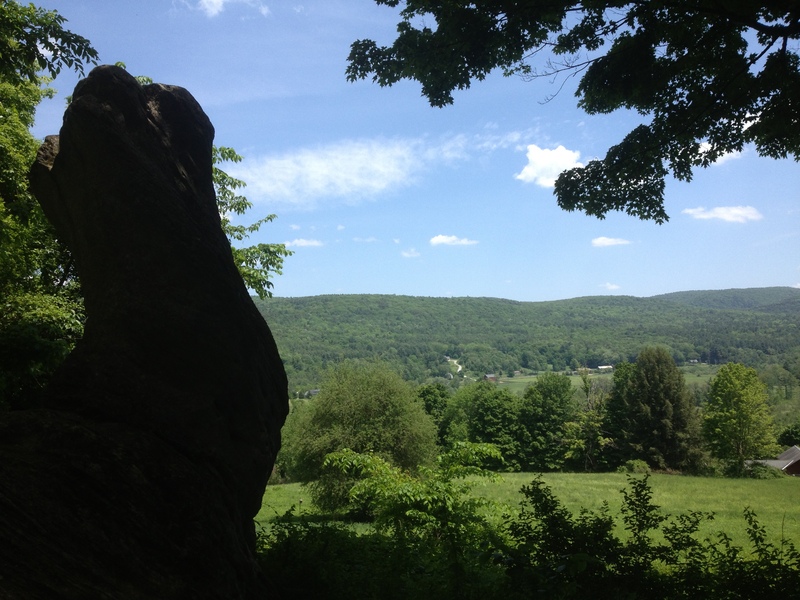 hiking loop trail that has lovely panoramic views of the Berkshires and Tyringham Valley. 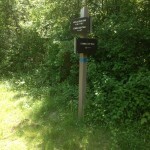 The venerable Appalachian Trail also runs through the property and intersects with the loop trail over this cobble. The twin-top of Tyringham Cobble is a lovely place to stop and enjoy a picnic with a lovely view of the surrounding area. 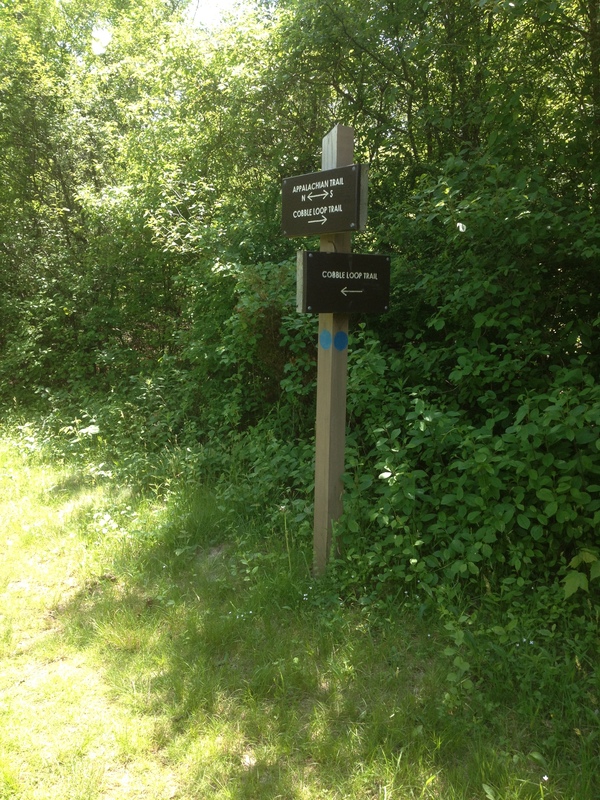 Hiking: There is a little over two miles of trails in this reservation including a section of the Appalachian Trail. Cross-country skiing & Snowshoeing: The hiking trails on this property are ideal for cross country skiing and snowshoeing with enough snow cover on the ground. Picnicking: The top of the cobble has a nice meadow area for picnicking. Hunting: Hunting is allowed on property in-season. The closest highway interchange to this property is exit 2 off the Massachusetts Turnpike (I-90). From this exit take Route 102 for a very short distance and take a left onto Tyringham Road to Tyringham Center. At the center of town you will see the combined Post Office & Public Library building at the intersection of Jerusalem Road. Take Jerusalem Road and the parking lot will be a short distance down the road on your right. Facilities, Fees and other information: There is no fee to use this area and there isn’t much in the way of facilities beyond a parking lot. 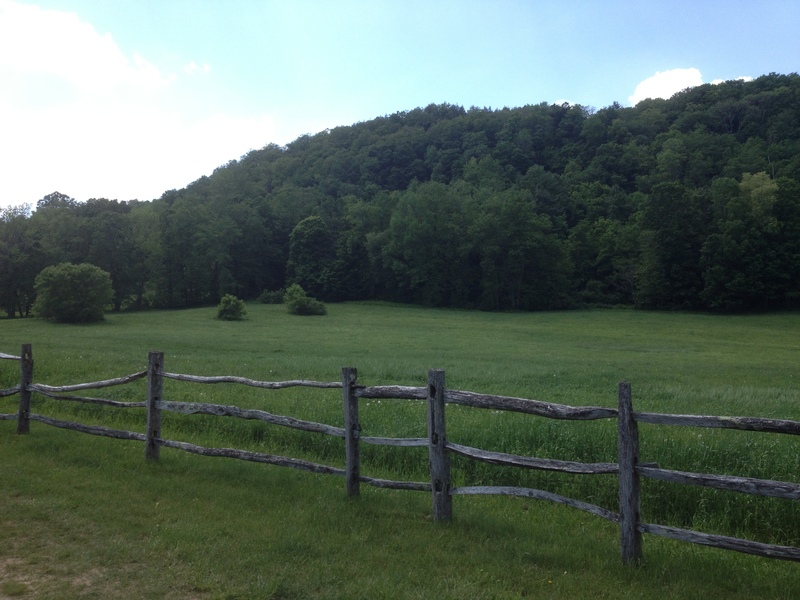 For more information, including a trail map, go to the Trustees of Reservations page for Tyringham Cobble.